With planting season around the corner, it’s time to hit the garage and take inventory: what have you got, and what do you need to get? Act now to ensure you have the right equipment for transforming your wintertime garden planning into springtime reality. 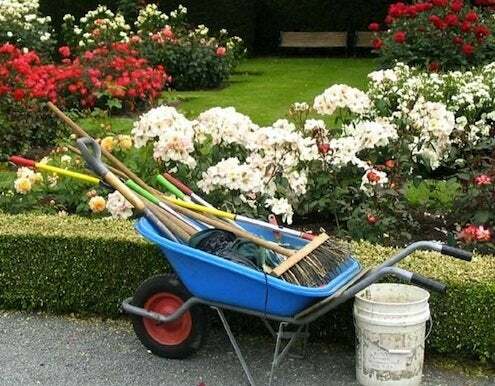 In a small yard, a wheelbarrow might only be occasionally useful, but on larger properties, one-wheeled helpmates of this kind are virtually essential. 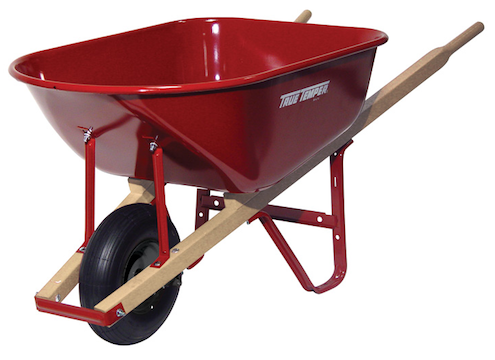 There are still a few vintage wood wheelbarrow models out there, but for the most part, wheelbarrow buckets are now made of either steel or plastic. Steel construction is common and can handle loads of varying weight. The material is liable to rust though, so take care to store your steel wheelbarrow out of the elements. Plastic, which is easier on your back (and your wallet), is best-suited for light gardening. Though it won’t rust, plastic may crack under the weight of heavy loads or as a result of extreme cold. There are a few “foldable” canvas models out there too, and while these designs are handy for gardeners with scant storage space, they are not always appropriate for the most demanding garden work. Traditional straight handles provide the most maneuverability and make for the easiest tilting, flipping, and dumping—but they require more hand strength. Closed handles and single-bar grips are ergonomically superior and make pulling easier. Whereas a single bar can be used comfortably by folks of any size, the traditional two-handled design is more difficult for people with narrow shoulders to manage. The traditional wheelbarrow has one wheel positioned front-and-center. That tripod design makes the wheelbarrow easy to maneuver and dump, but it requires greater strength to control. Two wheels up front give you greater stability (helpful with heavy or awkwardly balanced loads); just bear in mind that you sacrifice a degree of maneuverability, and these models do not work well on hills. Pneumatic wheelbarrow tires have an inner tube that you pump up like bicycle or car tires. That air serves as a shock absorber, giving the wheelbarrow a smoother ride and making it easier to manage. But like all tires with inner tubes, a pneumatic wheelbarrow tire is susceptible to rough terrain and can pop. Also, you will need to keep an eye on the tire’s air pressure, because it will eventually go flat without maintenance. Non-pneumatic tires are solid rubber. They can’t pop or go flat, but they won’t ride as smoothly. Compromise exists in the form of a semi-pneumatic tire—a rubber tire with air pockets built in. This in-between type offers some shock absorption but doesn’t require inflation. So wheelbarrows may look very much alike, but there are actually quite a few differences to be discerned among them. 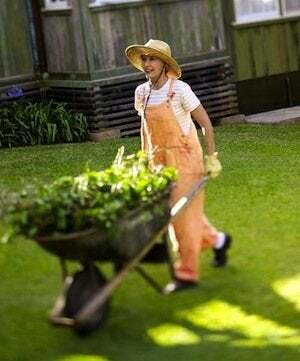 When shopping, think about your terrain and what sort of tasks you will be using the wheelbarrow for. Factor in your tolerance for maintenance and your available storage space, then make your purchase decision and load ‘er up—it’s time to get planting!